The colour brown tends to makes one feel comfortable and cozy. It is a color of the wood, earth, and stone. The warmth and character that brown gives will have your guests stay and enjoy the celebrations until the early morning hours. 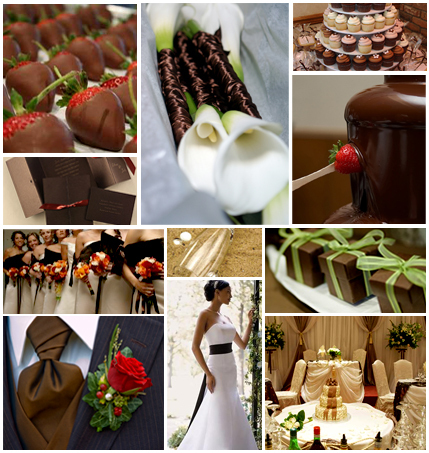 In addition, the colour brown is said to stimulate one’s appetite so have lots of chocolates for the guests! A great colour for the fall!